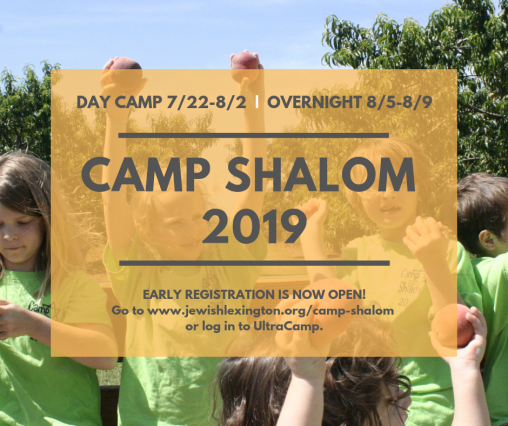 Camp Shalom | Jewish Federation of the Bluegrass, Inc.
Activities are geared to encourage unity, fun, and learning. Each day is filled with arts and crafts, sports, music, water play, storytelling, games, teva (nature), and other special projects. Woven throughout the day, universal values are incorporated into activities through the lens of Jewish traditions, ethics, and learning by focusing on three main Jewish principles: Torah (Jewish text); Avodah (work); and Gemilut Chasidim (acts of loving kindness). Additional activities aside from the daily routine often vary at camp. Each year we try to add something fun and different for the campers. 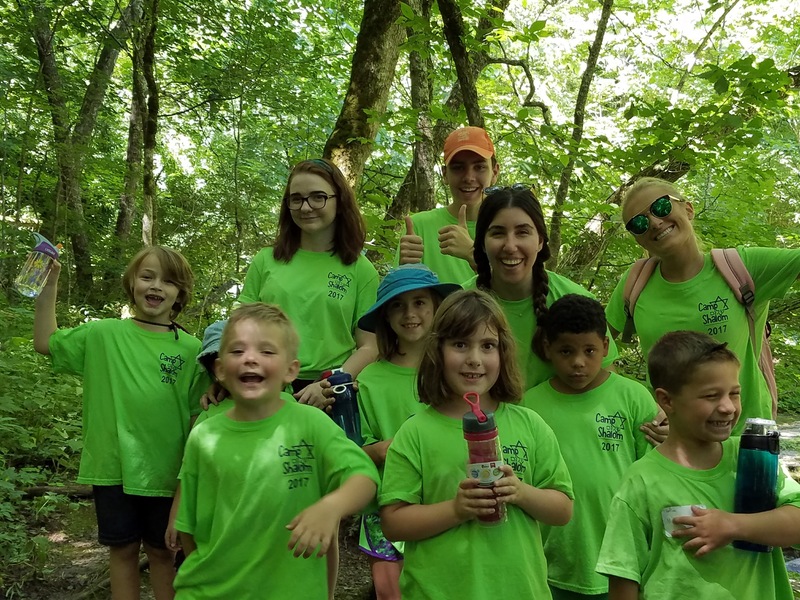 Some of our special activities have included guest storytellers, reptile shows, astronomy shows, community personalities visiting, local and national children's singers and musicians, and all-camp Maccabiah (color wars). Extended Day is an option for the camper to stay until 5:30 pm rather than leaving at the regular pick up time of 3:45 pm, Monday thru Friday. This year Extended Day will only be offered if we are able to meet the minimum number of campers. The fee for the week is an additional $50 and requires pre-registration. Camp is returning to the Girl Scout site and daily bussing to the campsite will resume. We will also be taking the children to a local pool twice per week, weather permitting. All transportation fees are included in the tuition. Contact Amy or Tamara for more information. This fabulous celebratory 50th Anniversary (2018) video was created by alumus, Andres Gedaly.